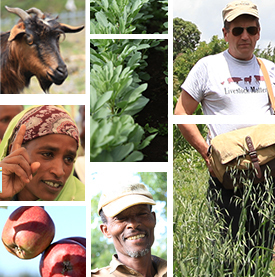 This report shares findings from a study by the International Water Management Institute (IWMI) and the Africa RISING program team which evaluated suitable water lifting and on-farm water management technologies for the irrigation of vegetables and fodder in Lemo District, Ethiopia. Results showed that irrespective of the technology used, crop and water productivity had a high variability among farmers suggesting that water management is an integral part when piloting water lifting technologies. According to the report, it is crucial that water management information is included as a component of the irrigation ‘packages’ offered to farmers when promoting irrigation and best-bet solutions aside from access and advice on best management agricultural practices. Tags: evaluation, USAID. Bookmark the permalink.